Keep your strawberries, your apples, your kiwi, your plums. If I had to choose only one fruit to eat for the rest of my life, it would be peaches — fresh summer peaches from a local orchard. Peaches that are juicy, fragrant and oozing with sweetness. The trouble is, that goodness is available for only a short time longer here in the Northeast U.S. So I’m taking full advantage of the rest of the season and eating them every chance I can get in any form I can get – stuffed and grilled, poached in a sugar syrup, or as ice cream or sorbet. 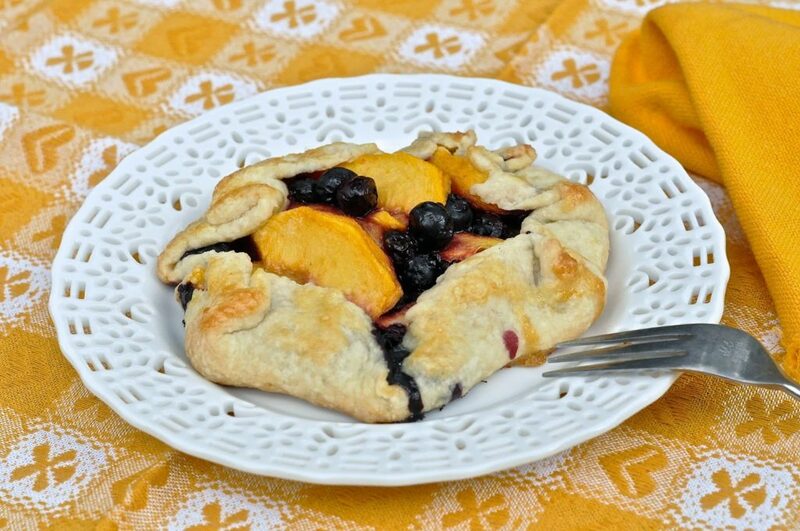 Peach pie is also a favorite, but these individual crostatas are a lot easier to make and taste even better. There’s no worry about soggy crusts or gloppy, thick filling from too much flour or cornstarch. The filling is nothing more than peaches and brown sugar. 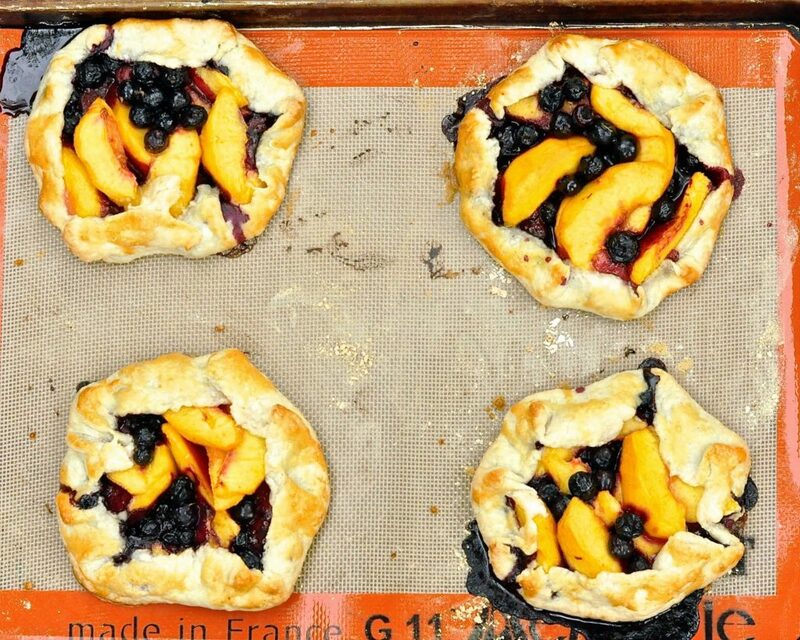 Purists, feel free to eliminate the blueberries and load up on more peaches, if you like. 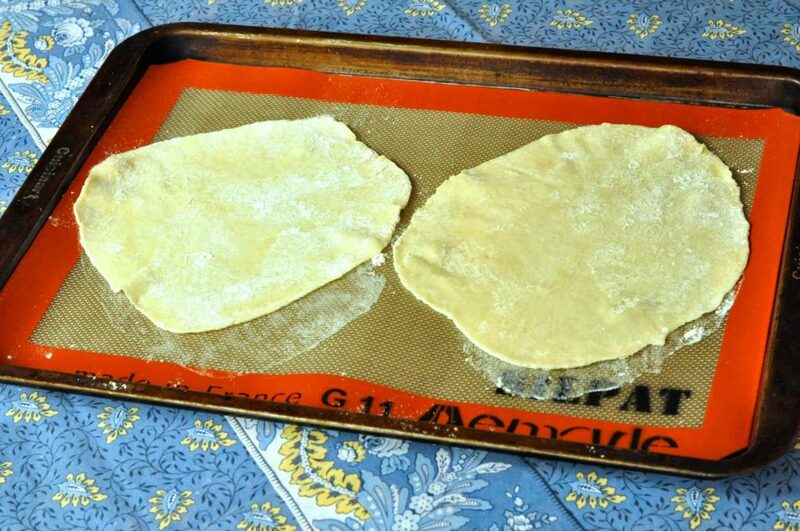 Roll out the dough until it’s thin – not paper thin, but less than 1/4 inch thin. This recipe makes four individual crostatas (actually crostate is the plural, if you want your Italian lesson for the day). 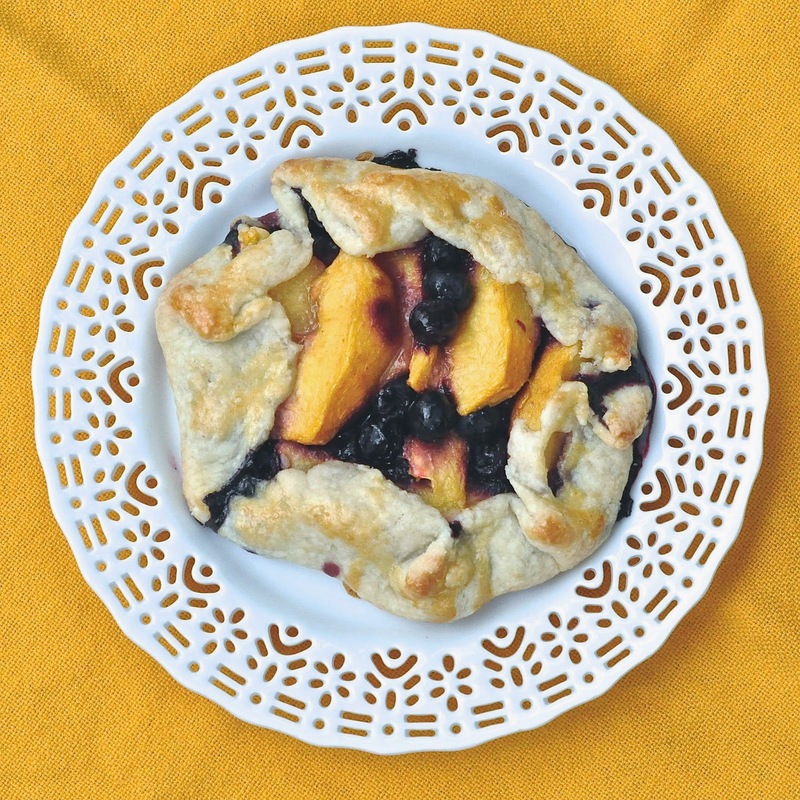 Fill them with the blueberry and peach mixture and gather the edges toward the center. Brush with an egg wash.
Bake at 400 degrees on a low oven rack and after about 20 minutes, you’ll have a gurgling fruity delight to serve. Don’t worry if some blueberry or peach juices escape. If you’re using a Silpat mat, you’ll be able to easily wipe it off. Otherwise, place a sheet of parchment on your baking pan first. Eat it warm or let it cool. Either way, it’ll be hard to resist this dessert. Bring on the peaches while they last! Mix the flour, sugar, salt and butter in a food processor, until it resembles coarse sand. Add the ice water until it starts to hold together. Bring it out onto a board and roll into a ball. Flatten the ball, then cut into four pieces. Roll out each piece until it’s very thin (less than 1/4 inch) and about eight inches in diameter. 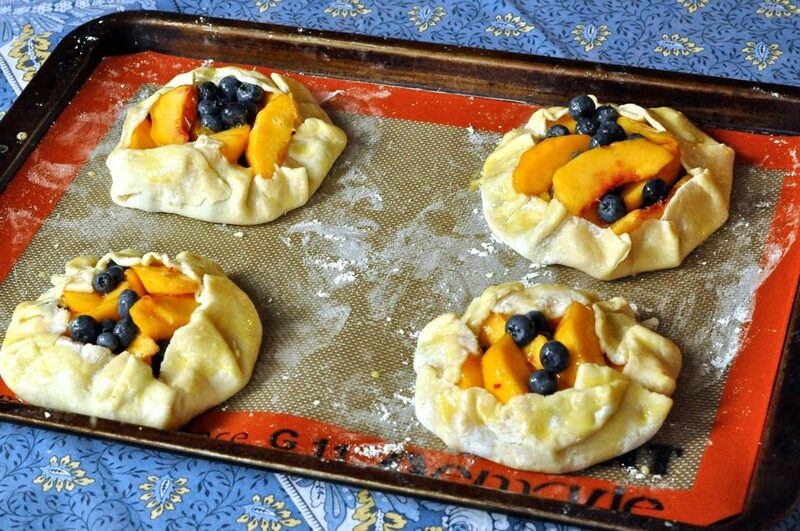 Mix the sliced peaches, blueberries and brown sugar and place on the center of the four pieces of pastry, on a parchment lined or Silpat-lined baking sheet. Bring the outer edges toward the center and brush with a little of the beaten egg. 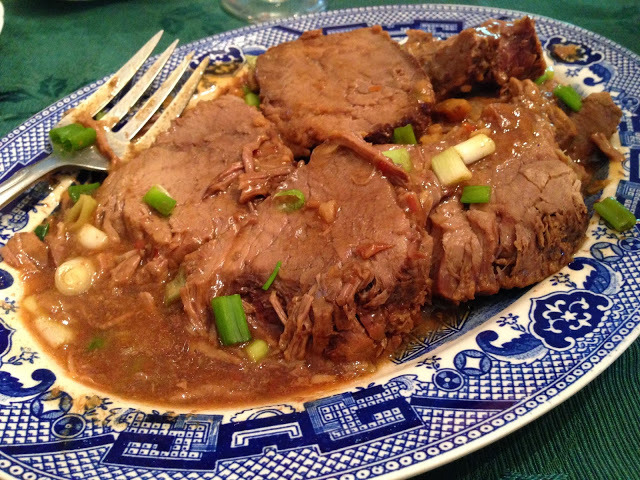 Bake at 400 degrees for 25 to 30 minutes or until browned on the outside. Very tempting. Your crosttas would not last very long at my place. How beautiful! I love that everyone gets their own personal dessert – my fave way to go! And I'm with you about peaches. They are the Queen of Fruit. We've had terrible peaches here, they're either too hard and never ripen or they ripen too much and and brown and yucky. Nothing better than the smell that comes from the oven making pie, save me some I'll bring the ice cream! Very pretty indeed! There are still peaches in the market around here—at least there were last night. Let's see tomorrow… ! I couldn't agree more! Bring on those peaches while they're here. I've been savoring some luscious Idaho peaches each day. Love how you prepared them! 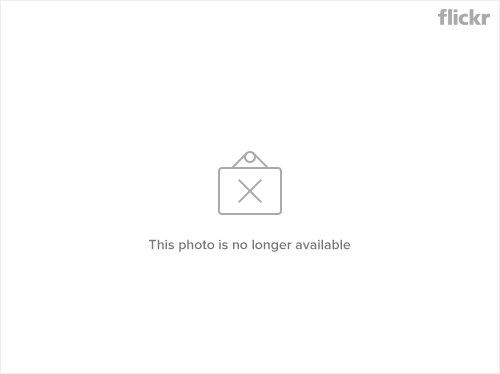 And – they're gone! Missing peaches already. I love that these are per/person and have added the recipe to my ever-growing pie file. The photos show off their summer goodness! 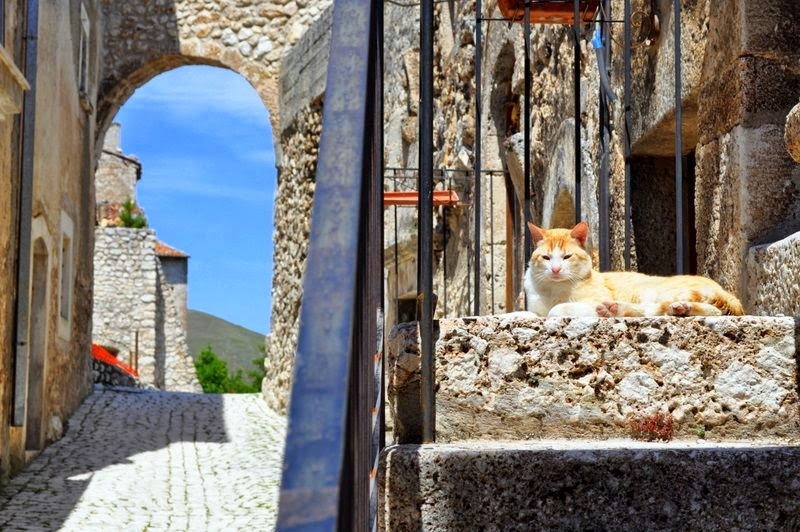 sarebbe bello mangiarne una fetta insieme sorseggiando una tazza di the Linda ! I love crostatas, Linda. They are so easy to make and taste like individual pies. Palisade peaches from the western slope of Colorado were the best I ever had this summer–I'm sad to see the harvest finish. Ciao Linda, ma il tuo blog è stupendo! E che piacere fare un salto negli Stati Uniti…e chi ti lascia più??  A presto, un bacio tutto romano, Alessia. P.s. : Bellissima ricetta!